For the ticket price, guests are invited to pick out a handmade ceramic bowl (made by VBHS students and other guest artists) and partake in a symbolic dinner of soup and bread from their special bowl. After dinner, the bowl will be washed so that it may be taken home as a reminder of the “empty bowls” throughout our community and the world. Money raised from ticket sales will be donated to the “Meals for Kids” Backpack program throughout the River Valley through the Community Services Clearinghouse. 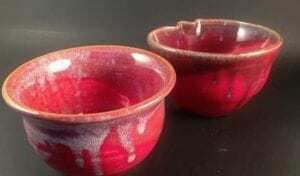 Empty Bowls is an international effort to raise awareness and funds for food insecurity. In our community, this is a great way to support young people helping other young people through art, charity, food, and community! Tickets are $15/adult and $7/child. Advanced ticket sales locations TBA! New this year: Our soup will be made by the brand new Pointer Place Cafe.